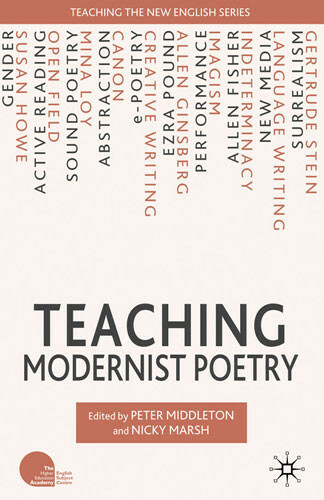 This essay on modernist poetry at the end of the lecture is now available through the Selected Works site. Many thanks to Peter Middleton and Nicky Marsh for commissioning it and for fabulous editorial and other advice along the way. Thanks also to Julia Bloch, whose class session on the sounds of Amiri Baraka was inspirational. Also to Ira Winston, John MacDermott, the late Jack Abercrombie, Chris Mustazza and Mark Lindsay who have pushed me toward using digital media and computing in my teaching and who on occasion permitted me to push them. RIP, Jack!